If you aspire to stand behind the podium as the White House Press Secretary or create the next Ice Bucket Challenge, consider a major in public relations. Especially at one of these top 10 schools. PR is similar to journalism because the internship opportunities and the professors you choose are essential to getting the best education. And writing and communication skills play a huge role. Where PR differs is that your opinion or the opinion of the company you work for should shine through. You’ll learn how to craft your voice and tailor your message at the following top notch schools for PR. 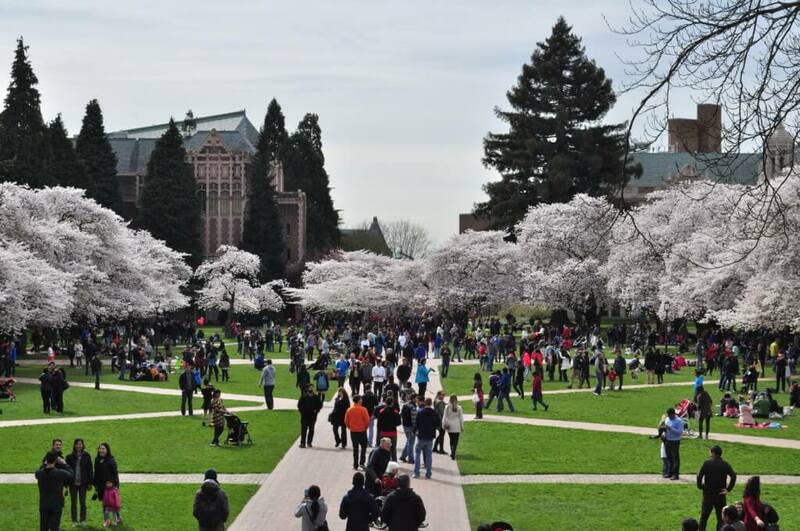 University of Washington doesn’t actually have an actual public relations major, but this school gives as much of an opportunity to learn about public relations as other any school with the major. UW has a list of public relations courses, such as interpersonal communications and public relations and society and its communications department has a digital-first philosophy, making sure to prepare its students for all multimedia platforms including Twitter and Facebook. “The most beneficial part of the University of Washington public relations program is the early exposure to internship opportunities, networking and skill development,” said Kauilani Robinson, Public Relations Manager at Visit Seattle and Class of 2005 graduate. The UW Premiere Internship program connects students to internships across the Seattle metropolitan area at publications like The Seattle Times or Crosscut. As to bring the real world to campus, the UW chapter of the Public Relations Student Society of America has weekly meetings with guest speakers. They even give students the opportunity to tour PR agencies in the Seattle Area. When’s the last time you stepped into the offices of your dream career? 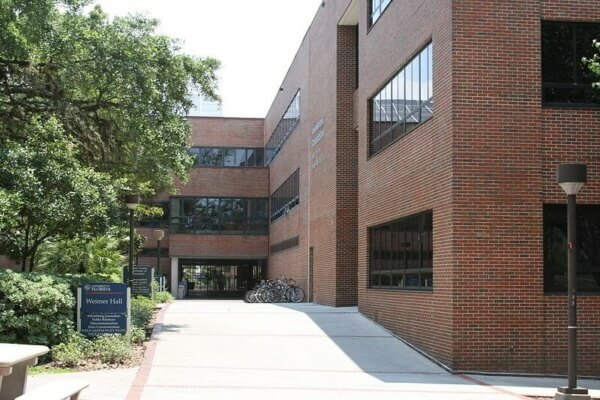 The University of Florida public relations program doubles as the perfect place for students who want to work on fixing societal issues through communications. “We take what we learn in class and apply it in practical settings. It’s great to realize how what we learn matters in the real world,” said junior Kelli Kaufmann. UF offers combined degrees in public relations and global strategic communications, social media and web design and a certificate in international communications. And the PR students take action. Through the student Unity PR Association, you can volunteer with a local nonprofit to create a communication strategy and craft press releases for events. “As I got more immersed in on-campus opportunities, I fell in love with profession,” said Kaufmann. 83 percent of UF graduates completed at least one internship while attending the university at places like the Gainesville Chamber of Commerce. Looks like there will be plenty of opportunities to flex your PR skills. 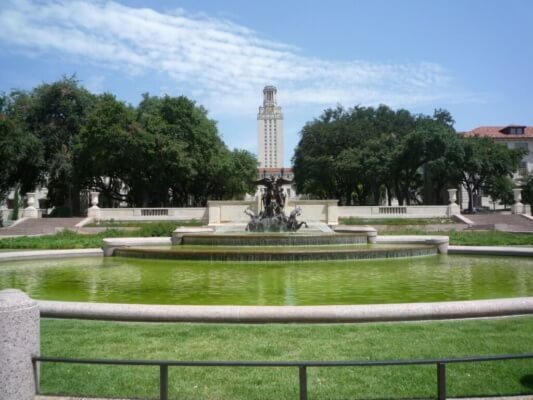 UT Austin requires that students complete an internship, so all PR majors complete one by the time they’ve graduated, and over half of the students complete three or more internships. Students intern at cool and cutting edge companies like Patagonia, South by Southwest and Tyler Barnett PR. In fact, in a growing city like Austin, the PR options are limitless. Students can take a class on Texas Sports and Entertainment or Texas Media, because as anyone from Texas will tell you, it’s like an entirely different country. Even the PR is bigger! For students who want to gain experience before an internship, they can work with Texas Tower PR, a student-run firm that helps nonprofits such as the Health Alliance for Austin Musicians. Known as a city of many start-ups, Austin is a public relations haven and UT has all the connections to get your foot in the door. Ready to meet local reporters and dive into a PR specialty? Florida State University students get the full PR experience starting with computer skills classes and a speechwriting class. This helps when it comes to creating websites for clients and learning how to tailor content toward specific audiences. At FSU the public relations major intersects with the advertising major. Both majors take the same beginner classes, which allows students to see which one might be more aligned with their interests. Public relations majors need to have a minor, which allows them to dive into a specific industry. Think film, political science or health. Minoring in public health for example would allow you to work in public relations at a hospital or at a medical association. FSU public relations students also need to complete an internship, and they can get involved in organizations like the Florida Public Relations Association, which creates opportunities to meet local reporters and attend events for professional development. FSU is the kind of place where PR students get a breadth of knowledge and real advice from people in the field. Boston University’s claim to public relations fame is its PRLab, the nation’s oldest student-run public relations agency. PRLab has had clients like Ben and Jerry’s, Goodwill Industries and Children’s Hospital Boston and allows junior and senior public relations majors to get real-world experience with clients. BU’s public relations majors can take classes on new media, political campaigning or a variety of other topics. They’re also required to take a communication theory class to understand the theories that apply to their field. Learning about the theory is key for applications in the real world, as BU public relations alumni Ray Kotcher, the CEO of Ketchum, did in his career. Public relations majors need to either intern or work in the PRLab, which basically means they’ll have tons of experience under their belts way before graduation. BU students have interned at IBM, Nike and the American Red Cross. Get ready to network! BU’s innovative PR major requirements allows students to build their resume while getting their education, helping them rock the PR world after graduation. At St. John’s in NYC, you’re in one of the greatest public relations hubs. This means students get a leg up in the field. They can take on internships and go on to careers at some of the most famous PR firms such as Edelman or top notch communications departments at APCO Worldwide. St. John’s PR courses actually fall under their bachelor of science degree which means students focus on the technical and practical aspects of the PR field. This includes courses that apply public relations to hospitality, criminal justice and obviously, sports. Athletes need PR too. 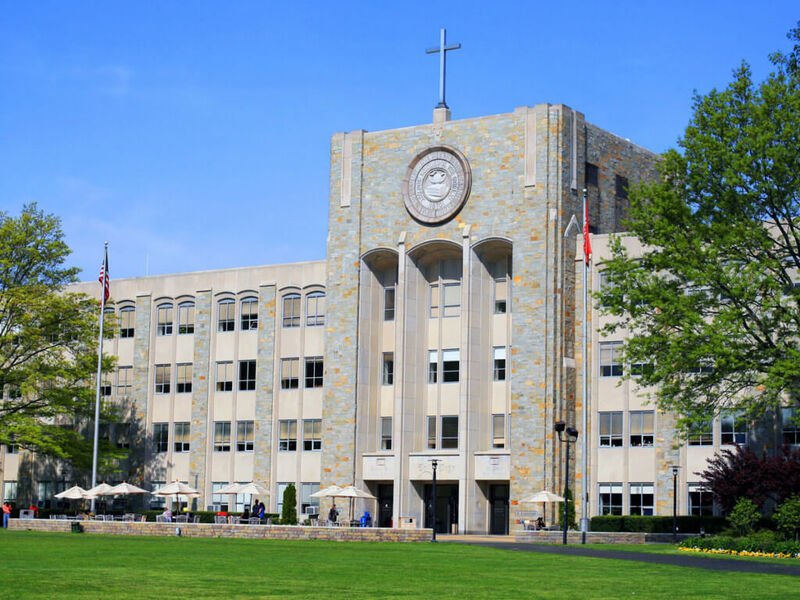 “The undergraduate public relations program at St. John’s offers strong, industry focused courses combined with communications course work in digital media, research, production, and integrated advertising, which readies our students for a range of media driven careers,” said Professor John DiMarco. St. John’s has an active alumni mentorship program and, in addition to a PRSSA chapter, an advertising club, a marketing club and a society for the study of modern visual culture. That’s a lot of ways to get involved. Their location and its unique coursework allows students to learn in a safe environment and then dive right into the field when they’re ready. At Penn State, you’ll not only get an education in public relations, but also in advertising. 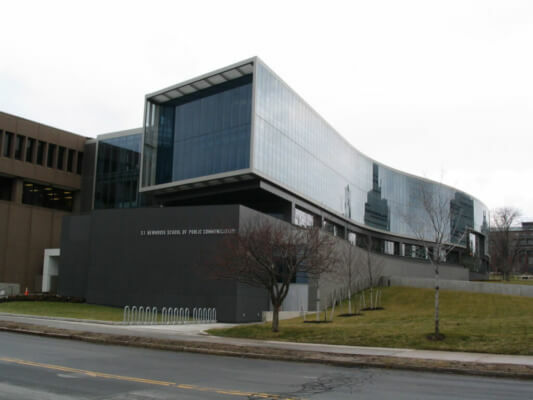 Today, so much of public relations revolve around creating advertising campaigns, so Penn State focuses on teaching its students about the role and effects of advertising and public relations on society. Penn State also requires its public relations students to take a news writing and reporting class so that students understand how journalism works and how they can best tailor their public relations strategies to working with journalists. In other words, Penn State students graduate with a serious advantage in their field. Students intern at places like the Ad Council and Johnson and Johnson. In fact, one of their alumni is Jayne Jamison, senior vice president and publisher for The Oprah Magazine. That’s right-if you dream of working for someone like Oprah someday, you might want to consider Penn State. American University has the longest standing PR programs in the Washington, D.C. area. It’s well known for producing students who make a difference in their field, such as alumni Pam Kaufman who is the Chief Marketing Officer of Nickelodeon. The curriculum gives students opportunities to look at the intersection between public relations and other fields in classes that talk about race and gender, international relations and entertainment. “The majority [of professors] are currently working in the field or have extensive experience in the industry. It’s vital for connections and networking, but it’s also important for hands-on experience,” said senior Melanie Salemno. The School of Communication has partnerships with media organizations across the city for the SOC Dean’s Internship program, where the partnered organizations save spots for AU students who intern there. Past public relations dean’s internships have worked at places like Discovery Communications and Porter Novelli, who created the Ice Bucket Challenge. 98% of AU public relations major take on at least one internship during their time at AU. All public relations majors need to take a capstone class where they work with a real established client to create material for the organization or company. SOC also requires students to double major or minor in something outside of the school of communication. At AU, public relations students get to lean on D.C. as their classroom. If you want a university that puts a major focus on new media and the current digital age, look no further than Syracuse. Students take classes on multimedia storytelling, writing in a digital age and diversity and the media. You know, ever aspect of our daily lives today. Syracuse communications students also complete an average of three internships before they graduate, and within six months of graduating 83 percent of the students had full-time jobs. Wow. While at Syracuse, public relations students can boost their resumes with the student run PR firm Hill Communications. The faculty includes the former vice president of communications at Time Warner, the current president of Coolican Elm Communications and the founder of Inkwell Creative Solutions. Talk about connections. Their school of communication is well-known for its fantastic teaching, and the students’ success outside the classroom and after graduation reflect just that. 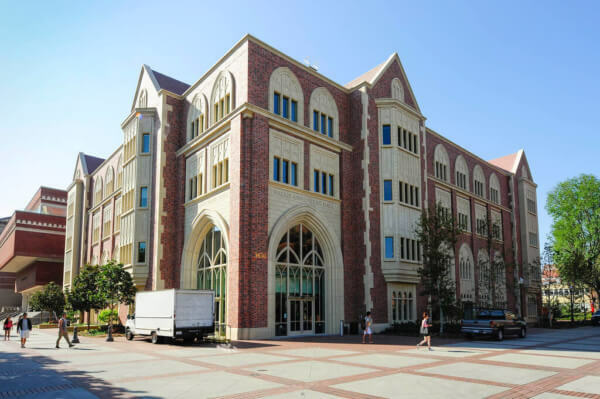 USC students are in a prime location to step into the Los Angeles public relations world. With one of the smallest average class sizes (16 students), students get more one on one attention and help from their professors so they can succeed in the industry after graduation. The curriculum requires students take classes on ethics of public relations and research of successful campaigns. These courses prepare students to work for political organizations and influential companies. Many of the Annenberg School for Communication and Journalism faculty have an interest and a focus in new media, and that’s reflected within their teaching of writing content for emerging media and analysis of shifting media. “Our students are constantly learning how to create cutting edge, innovative content that is reflective of what companies are demanding in this fast paced digital era of communication,” said senior Courtney Cardin. The location allows students to get experience within the entertainment industry at places like Black Entertainment Television, Marvel Studios and Red Light Management. “After connecting at the Annenberg Career Fair, I was hired as a digital media intern for SB Projects, where I got to work on the marketing efforts for Justin Bieber’s “Purpose” album release,” said Cardin. Getting to generate press for your favorite movie series or musician sounds like an amazing opportunity.